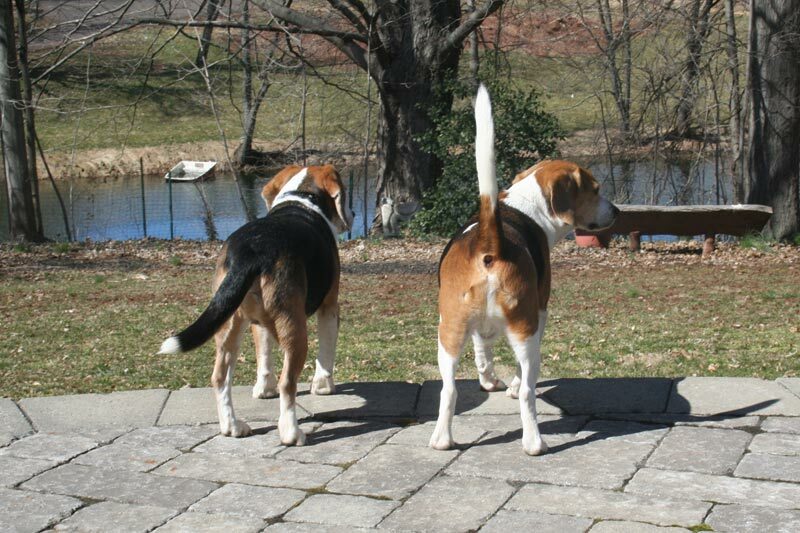 Chronicling the lives of the Kramer beagles and their hard-working domestic help. Has anyone seen the instruction booklet? Once a week or so in the early evening, Sherman will beat Stanley to the pup tent. His usual ritual is to furiously* scratch out a comfy spot on top of the bed, then plop down, wait a few seconds and leave. But sometimes he stays, much to the dismay of Stanley, who is there the other six days. We’re going to Phillip’s mother’s house (hi, Gitty!) for a late seder this weekend. I think we’ll bring the pup tent and I can guarantee who will claim it as his own. * Apologies for the split infinitive. But “his usual ritual is to scratch furiously out a comfy spot” sounds worse. Suggestions? This is Brooklyn! 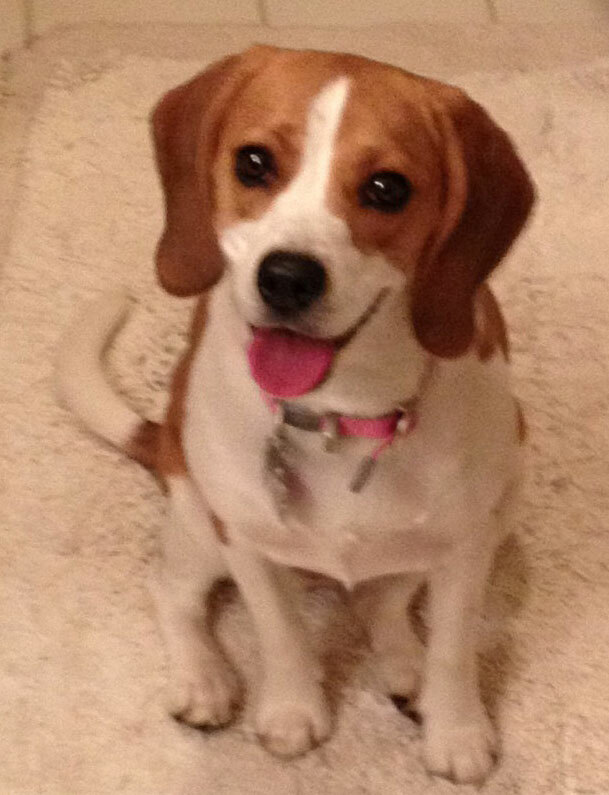 She is a young female Beagle that came to live with us recently through the relative of a friend. I have a call in to the original owner to find out her age, etc. I called her vet’s office and they will not release any info to us until the original owner okays it. HIPPA laws apply to everyone! Brooklyn seems to be about 9 mos. old. She is very tall and she is caramel and white, not the standard Tri-color that we are used to. She moved in on 3/14 and fits in with all of the other hounds. She is super sweet and wants to play. If not for my unplanned cameo, this could have gone on forever. Last night after dinner Stanley had a bit of a frenzy. He rushed upstairs, then rushed downstairs. then up and back again two or three more times. He tried to engage his older brother in the glorious excitement, but Sherman gave his usual excuse by jumping up and on top of the couch. P.S. I don’t want anyone commenting that we should get a puppy for Stanley. Yes, those are two bottles of hot sauce in front of Phillip (Advil to the right). 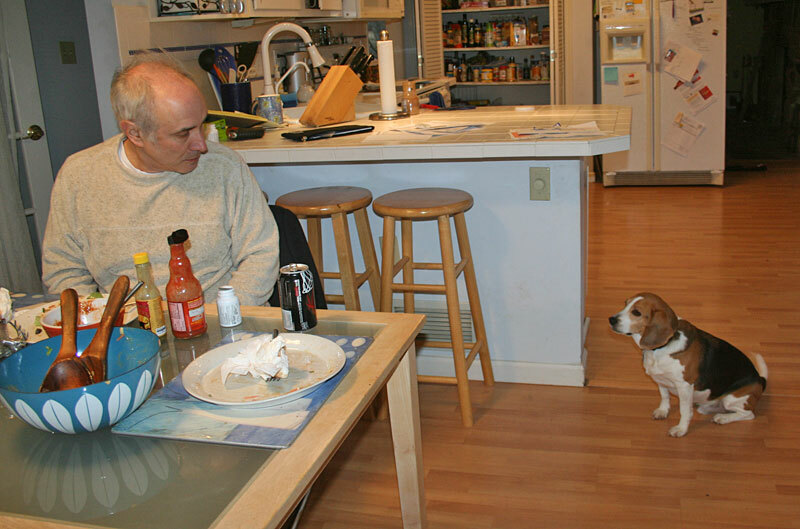 And that is one of the most pathetic beagles you’ll ever see. He’s wondering why his treat isn’t being served, given the fact that the people have finished eating. Health update: except for an occasional tugging feeling from the (9.5″) incision, I feel as well as I did before the surgery (coming up on 8 weeks ago). Whether I’ll wear a two-piece bathing suit when we go to Jamaica next month has yet to be decided, but I will definitely be able to go scuba diving. 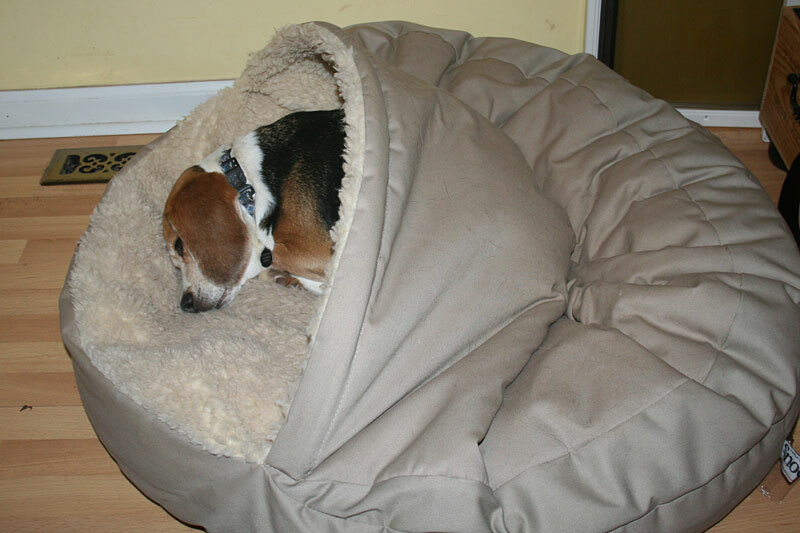 It is with great sadness however, that I tell you that we lost our other little beagle boy, Jackson, on January 29th, he was 16 years old, and made it to one year almost exactly from the passing of his older brother Samuel Lee Dean. We adopted Jackson when Samuel was a year old to be Samuel’s best buddy and he took his job seriously, there was no where Samuel went that Jackson didn’t go – including several escapes from the yard that lead to tours of the neighborhood (once he was even escorted home in a police car!). 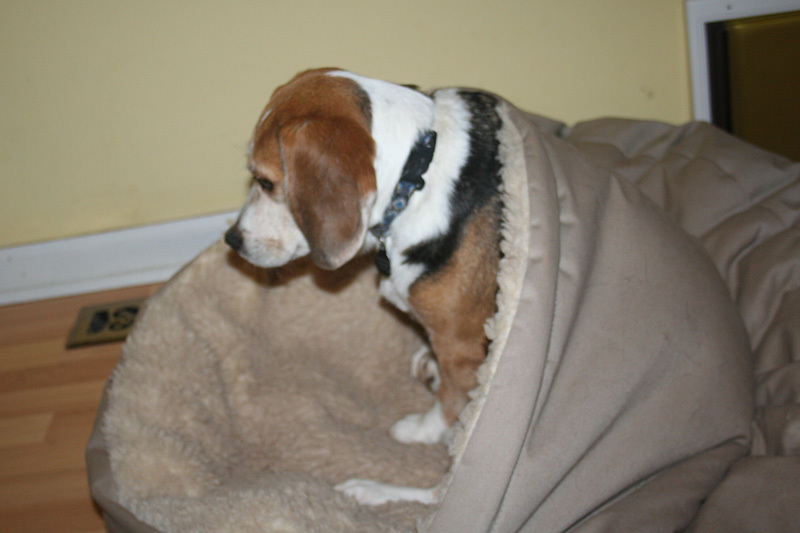 Jackson loved to go out in the yard in the middle of rain and thunder only to come back in several times to get dried off under a large bath towel – then run back out the doggie door again! He barked a beautiful song with his brother and sang whenever he got his ears rubbed. 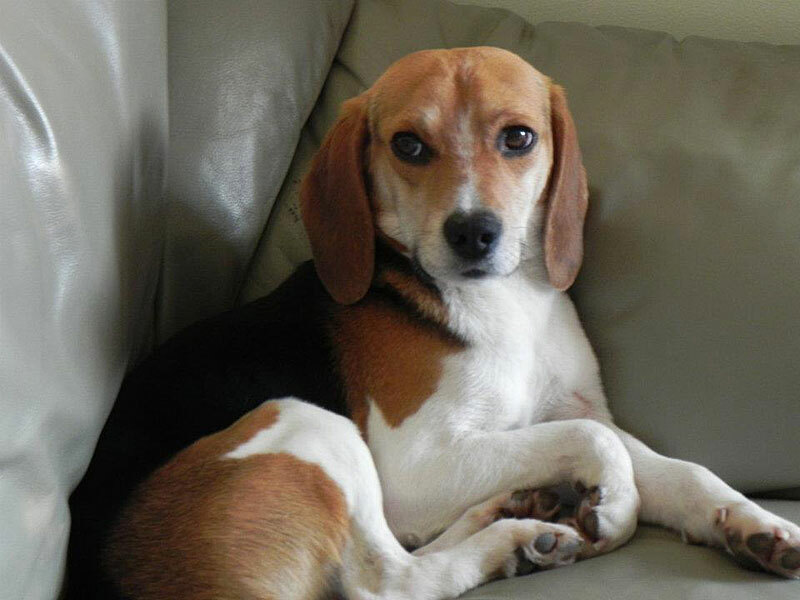 Jackson was a true beagle, NEVER missing out on any food, he loved long walks with his brother and finding any piece of paper to carry along the way. 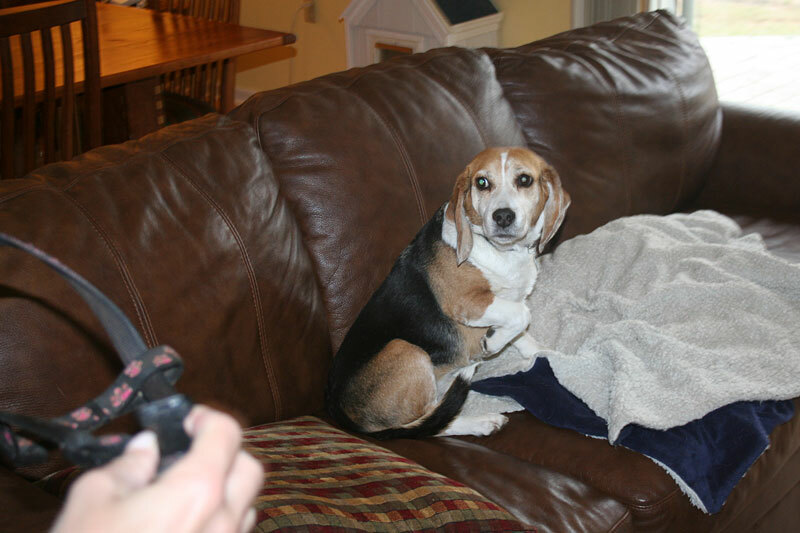 His favorite place was on the end of the couch by me his beaglemom. He loved playing in the fresh snow and burying his nose in it smelling the ground below. We miss you and your brother so very much, but take solace that you are both free of pain now, running and barking again with each other! This is our Luke Anthony whom we rescued last year after the passing of our Samuel Lee Dean. Luke weighed all of 12 pounds when we brought him home and had a giant gash on the inside of his hind leg. He was house-trained and quickly learned from brother Jackson, how to use the doggie door. We worried someone had beat the bark out of him, but after the first week he proved that was false when a stranger crossed the other side of the street! He loves to lay on his back with all legs in the air, cuddle on blankets, and chew EVERYTHING, a pair of slippers, 3 pair of eyeglasses, woodwork, rugs, boxes of Kleenex, toilet paper, and towels. He’s not too keen on car-rides yet, but neither was brother Jackson when he was young – this too shall pass! As I mentioned Monday, Sherman usually does a happy dance when it’s time to get harnessed, making it difficult to put it on him. But this way — Mr.-tail-tucked-and-aren’t-I-shy is actually more difficult. Eventually I got him dressed. On a slightly related topic, can anyone recommend a good brand of car harness? Carol (Libby’s mom) posted this towards the end of yesterday’s comments and maybe it could be a discussion starter. 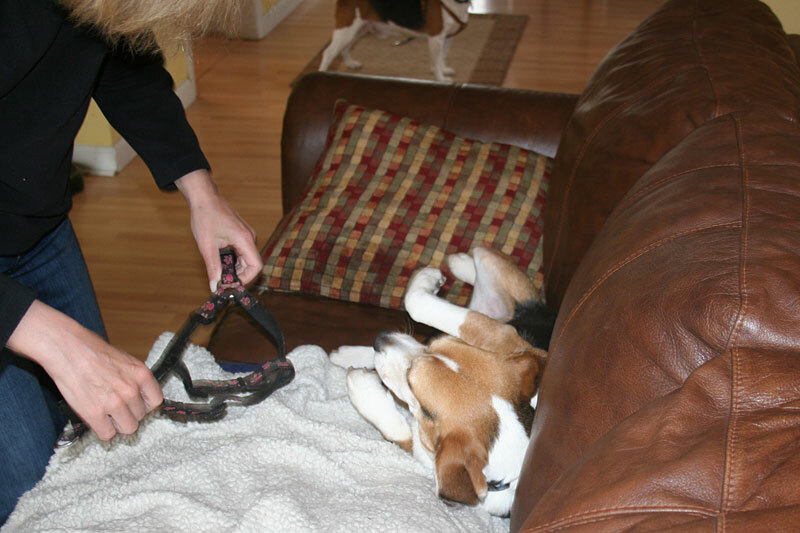 I had it easy here – Sherman didn’t know that it was time to get harnessed up for a walk. He turns into a whirling blur of black, white and brown and makes it nearly impossible to get anyone dressed. Stanley is calm. Not an adjective I’d generally assign to him. Sometimes I have trouble getting the clasp to click and as you can see, it can get a little boring.